Every Mom has her MUST HAVE baby essentials! With this little man being baby #2, I had my essentials down, but there were a few pieces I was wanting to try out this time around that I hadn't with my first! If I have learned anything as a mom of 2, chatting with mom friends & scouring the internet about " MUST HAVES" I have found that every baby is different & has different preferences & needs! Boy oh boy, is this new little boy a testament to that! My first was a SCREAMER, would only sleep (and nap) swaddled tight & in her designated sleep spot in silence! Silence and designated sleeping seemed next to impossible with an energetic & very talkative toddler, the solution?? 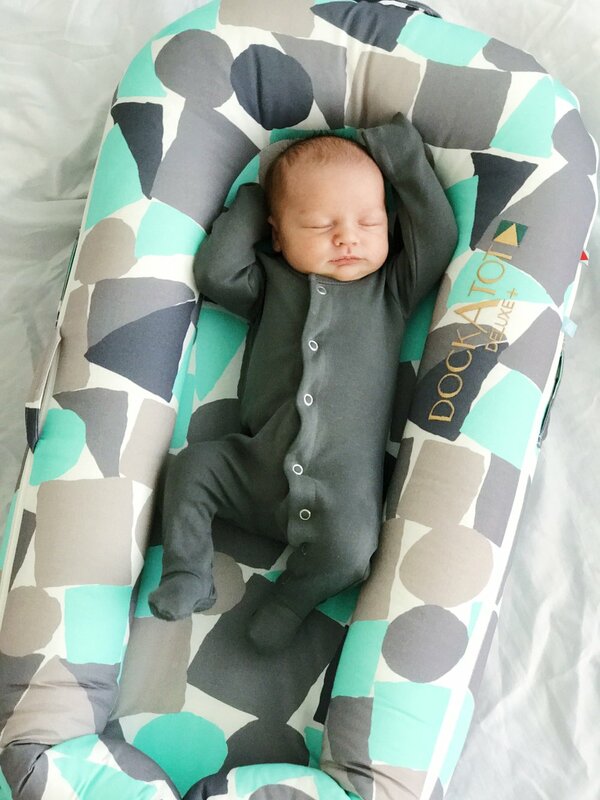 A consistent, yet portable sleep situation, that provides comfort and safety - Dockatot to the rescue! 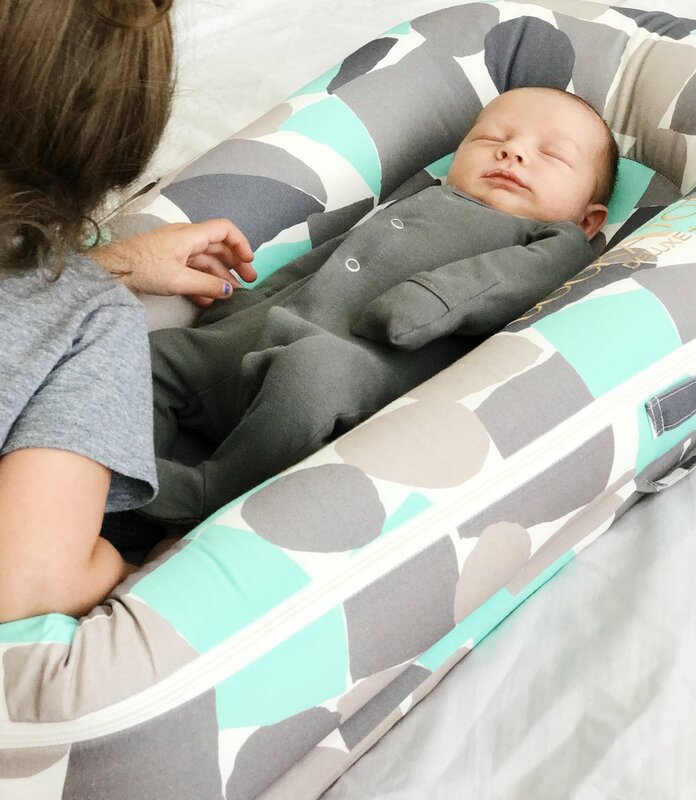 I am loving our new Block Party by Oh Joy Deluxe Dockatot it's perfect for co-sleeping & for day time lounging! And the pattern is quite a party!! The size is perfect for my little man, although my toddler thinks it's great for lounging & watching movies too!! Thank you Dockatot for gifting your awesome product to our family & helping this momma of 2 have better peace of mind for sleep time, lounge time & big sister time! 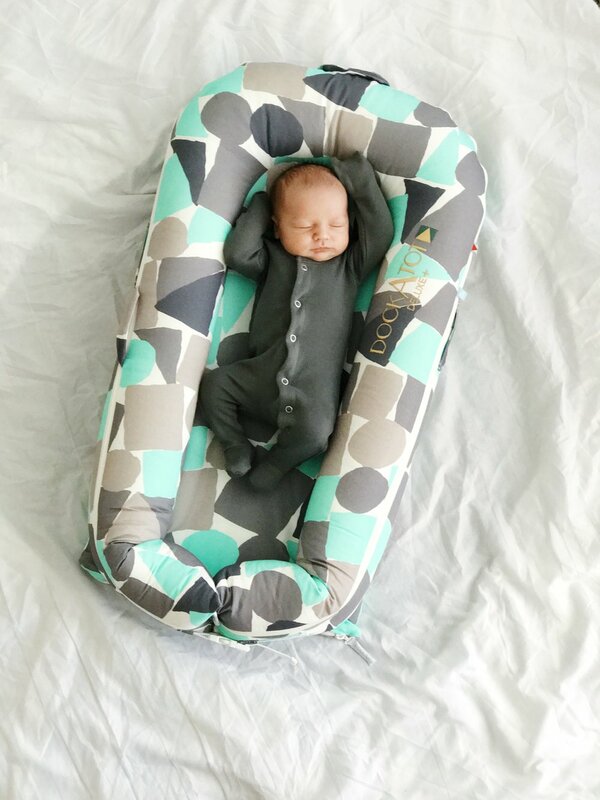 This momma is a definite TO Dockatot! Off to snuggle my newborn & watch Monsters Inc for the 14th time this week!